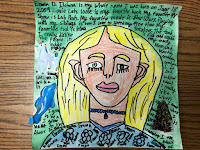 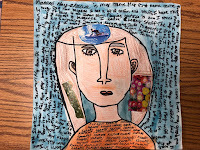 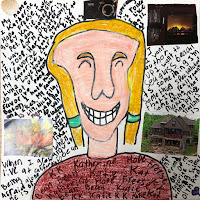 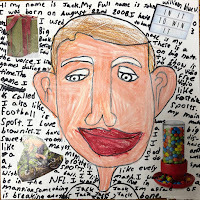 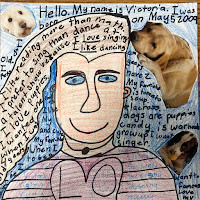 The third graders just completed a very rich lesson based on the folk artist, Howard Finster. This is one of my favorite lessons to teach and I added another element to it this year - personal symbols. 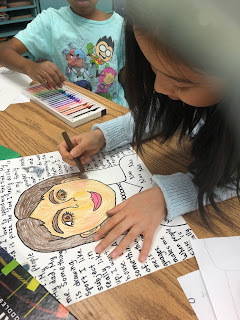 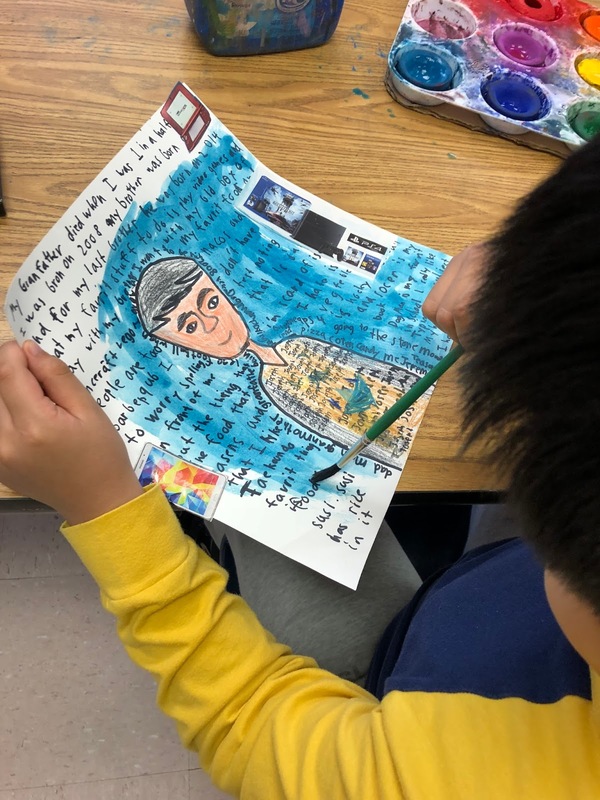 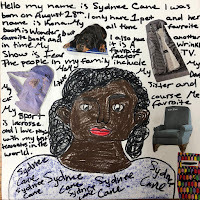 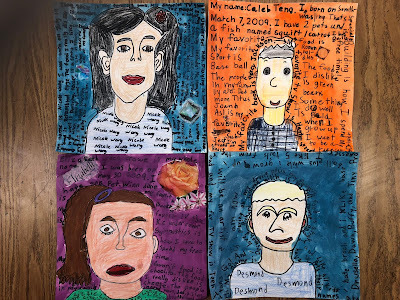 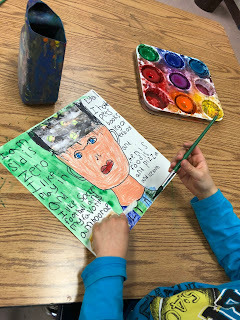 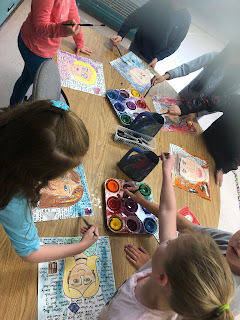 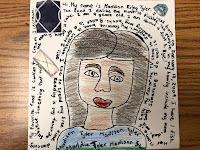 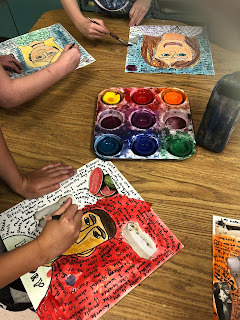 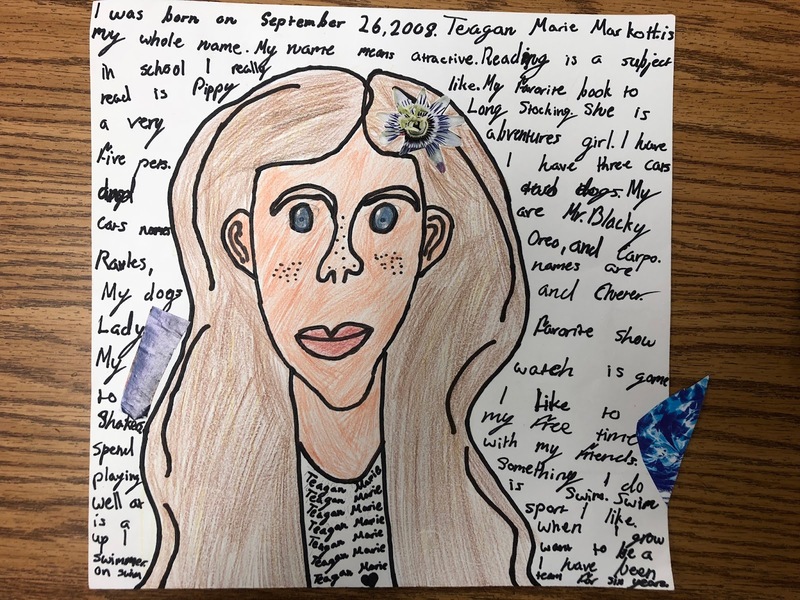 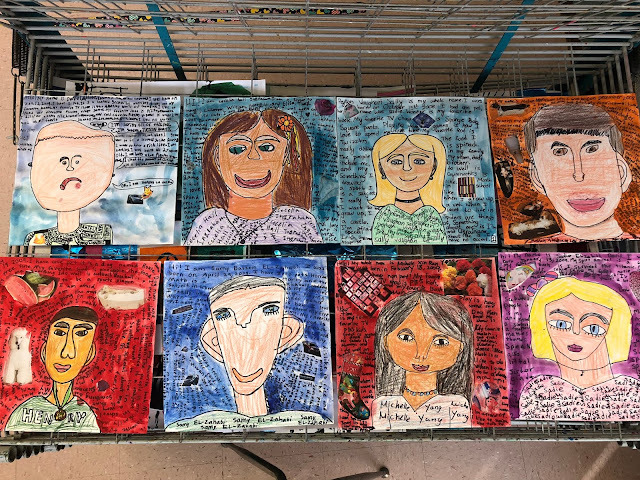 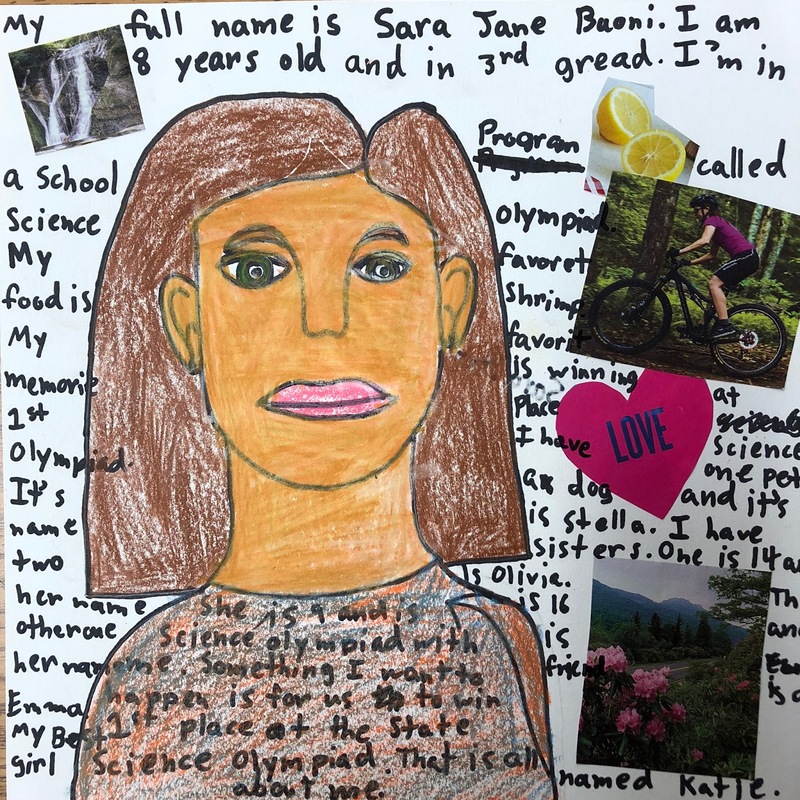 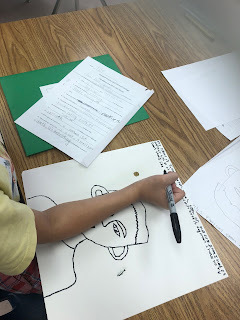 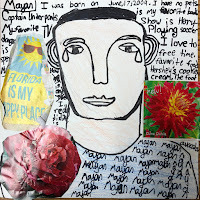 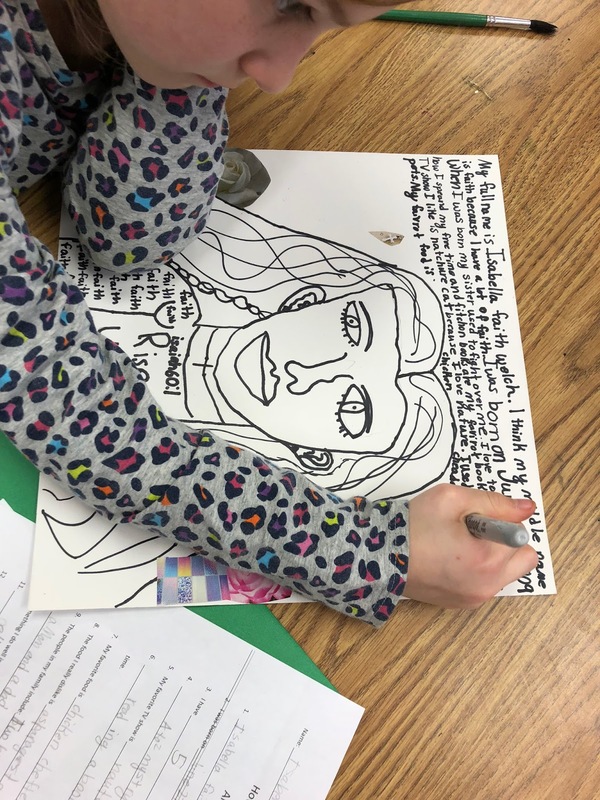 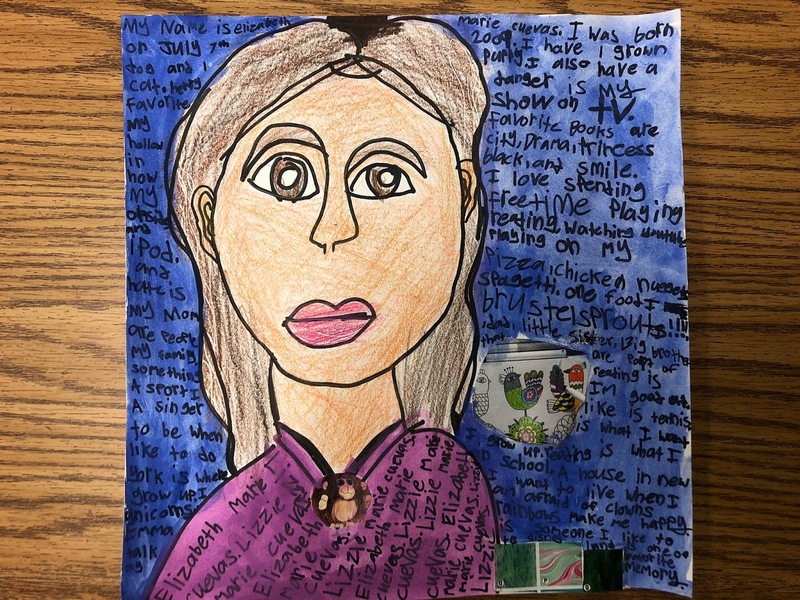 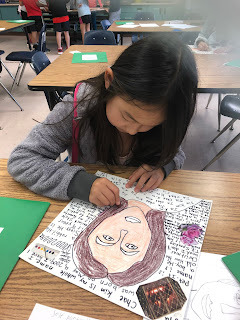 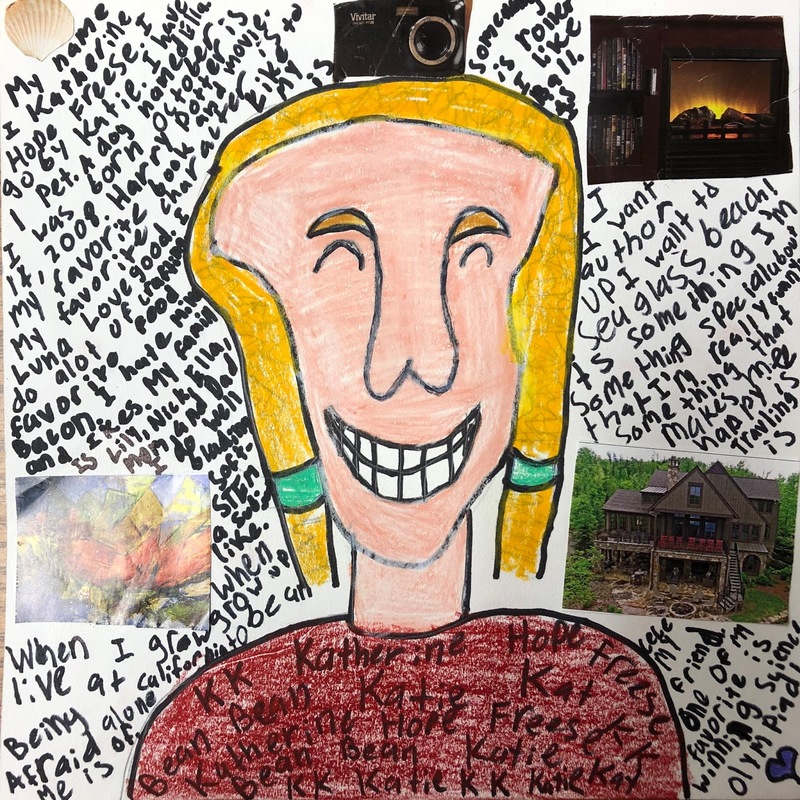 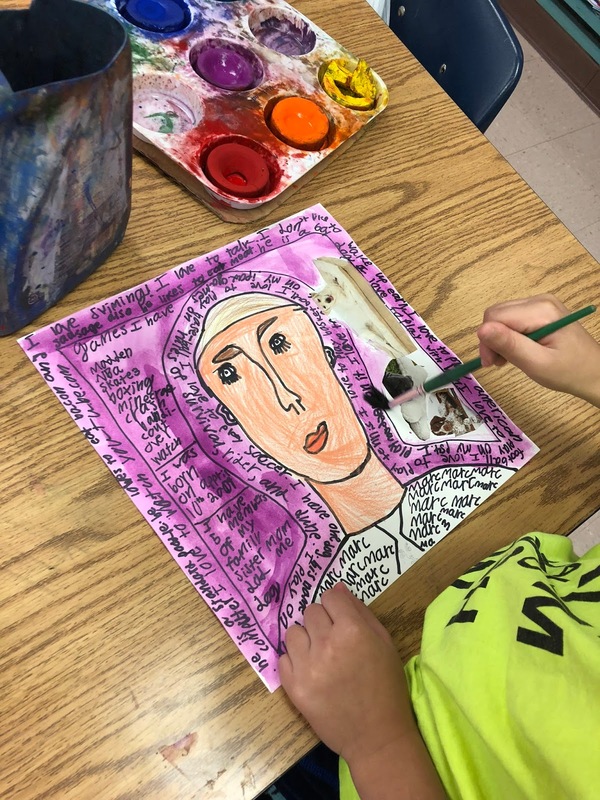 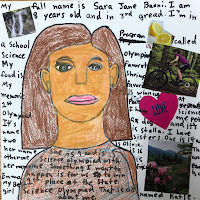 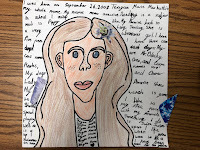 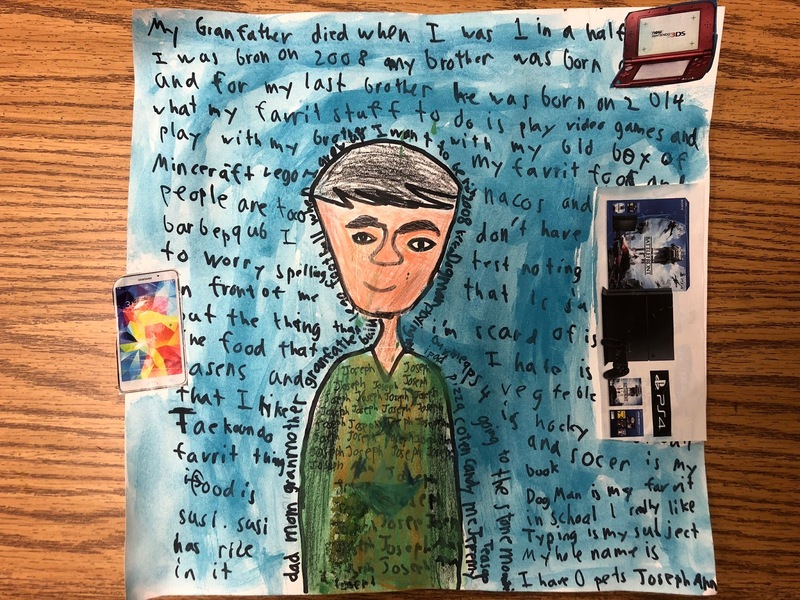 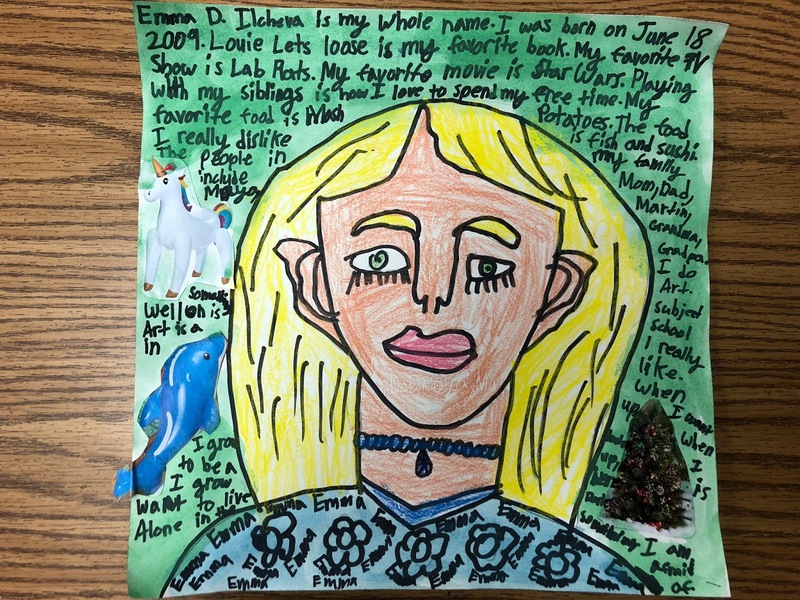 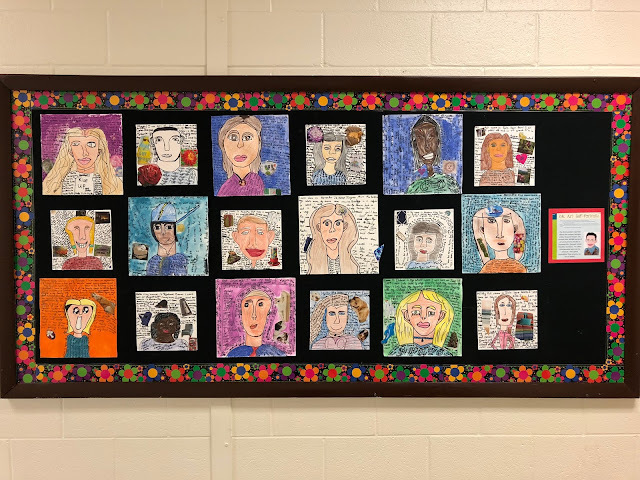 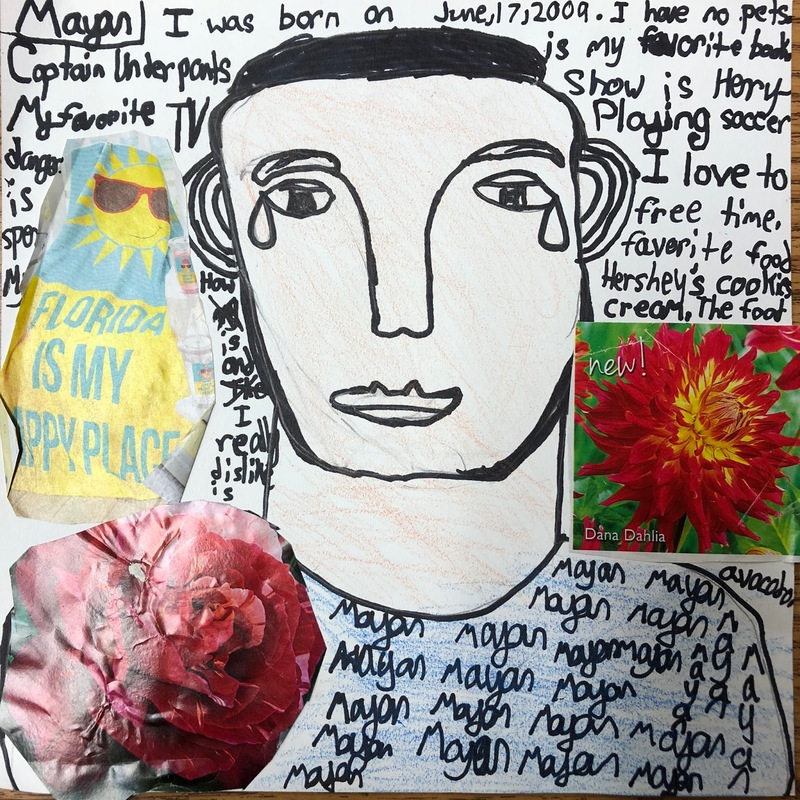 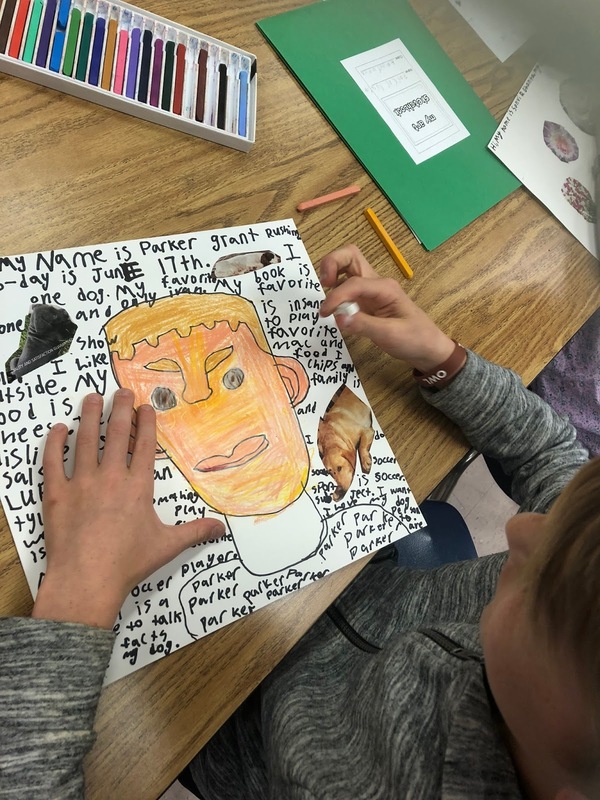 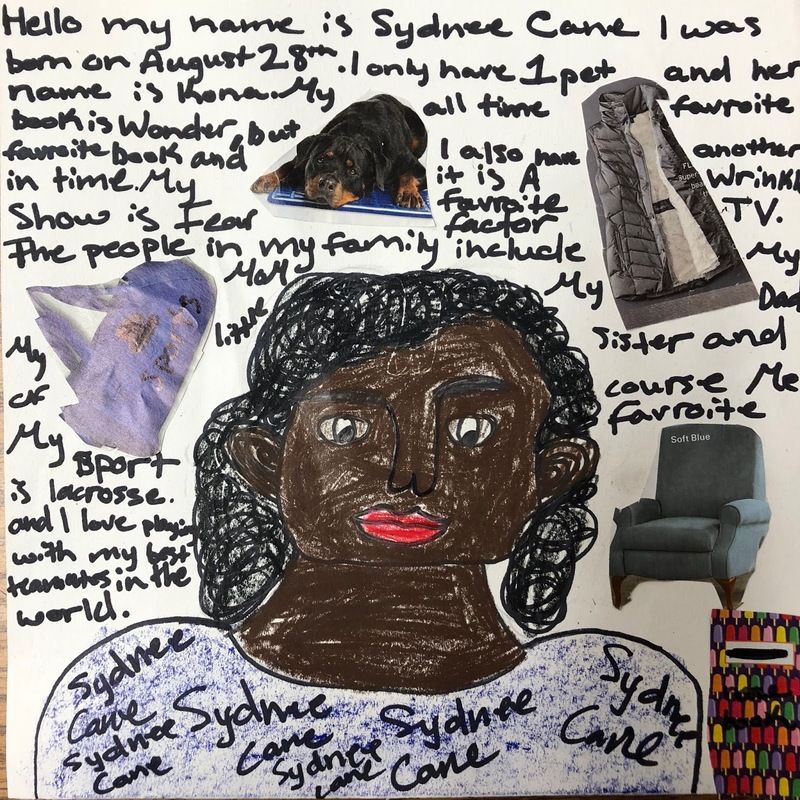 After discussing Howard's remarkable life, showing a few video clips, and showing personal pictures from when I visited Paradise Gardens, we practice creating a self-portrait in the Howard Finster style. 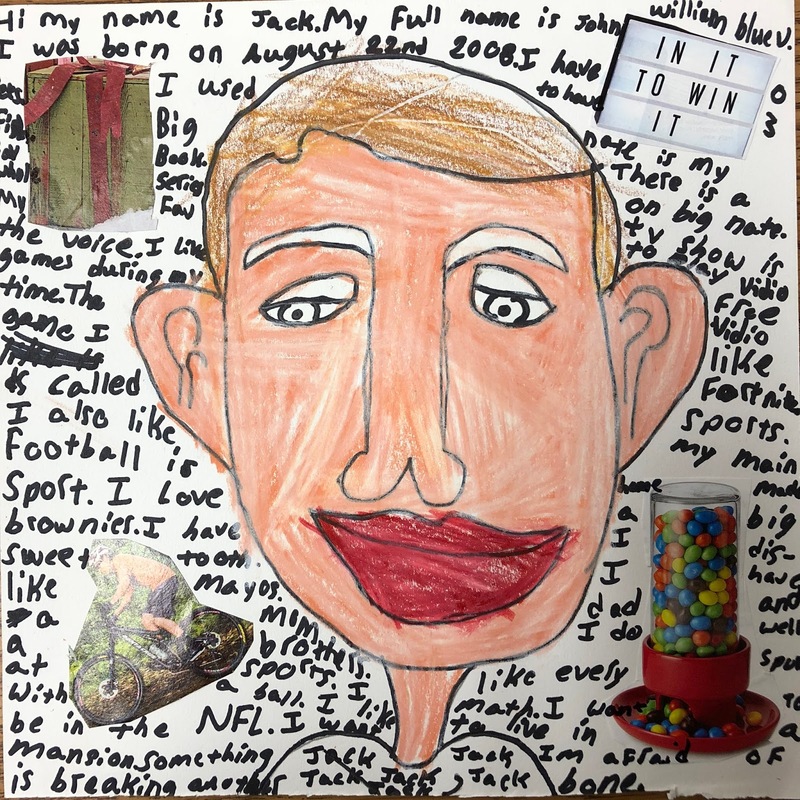 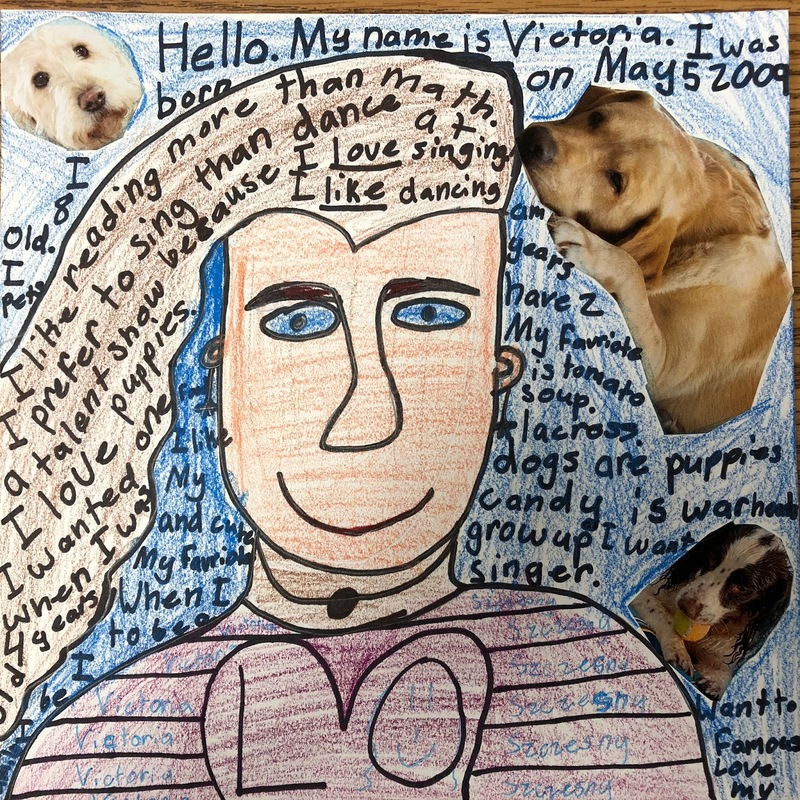 Next, we completed an All About Me worksheet I made to give the students plenty of writing material (or jumping off points) for the writing portion of this lesson. 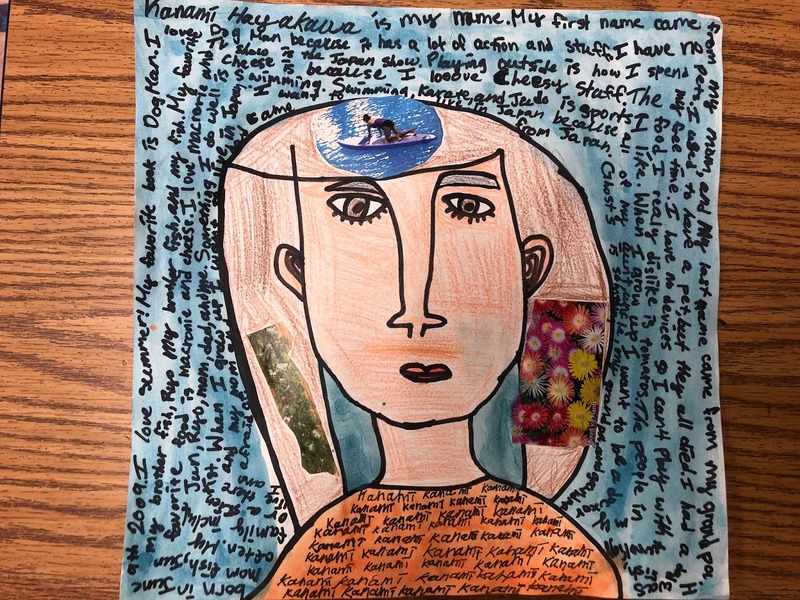 We then talked about personal symbols - what they were, how we see them in Howard's work, and how to decide what on is to us. 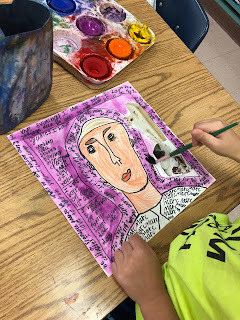 After cutting them out and gluing them around the negative space of our art, we then added words. 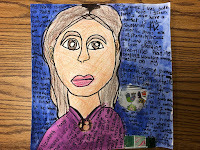 This could be done is a variety of ways and I loved seeing how some students even created new ways to add the writing. 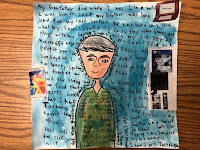 Finally, we colored our self-portrait with ArtStix and then did a watercolor wash in the background. 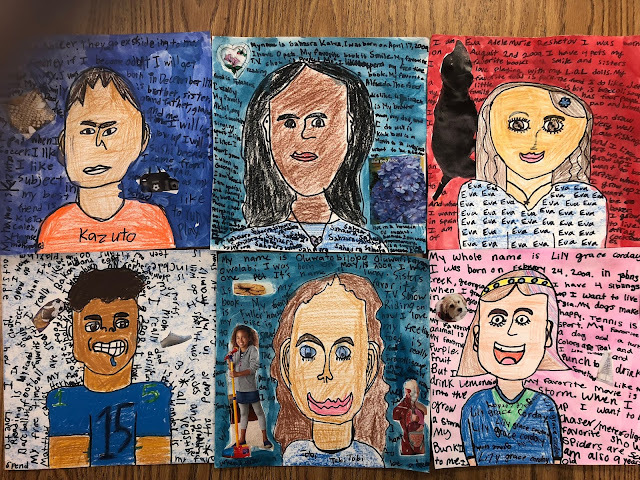 Great job, superstars!